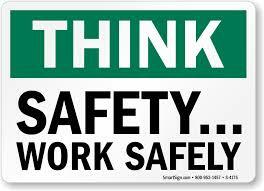 Everyone wants to have a safe work environment. Of course we all do. Not only does it create a more fun work environment when everyone is safe, but it also saves money. So whether you are “all heart” or you are all about the “straight cash homie” it pays to be safe! So it’s important to not only give your team the proper equipment to work safe. You also need to incentivize that safety as well. One of the best things about promotional premiums is they have the ability to affect human behavior. So make sure you are using them to create safe behavior…in AND out of work! Here are just a few products that might get your attention when it comes to safety. Maybe they are for on the job. Maybe they are to help remind your team to work safely. Either way, these products really hit the mark! Synthetic Leather Palm Camo Glove: These gloves are super functional! Whether you are using them at the work place or in the garage, these will come in handy all of the time. So consider these gloves (click here) if you want to help your team stay in good hands. Emergency Hammer: This is a wonderful gift if you have a team of drivers or if you just want to let your team know you care. Let’s face it. More and more of us (and our team members) are driving. We hope they never get in an accident, but if they do we want them to get out of the vehicle safely. This tool will help! Safety T-shirt: And we can’t do a safety post without the safety t-shirt! You have to make sure your team is “seen on the scene!” This shirt can absolutely help! So if you want outfit your team and help keep them safe, consider this shirt. So maybe you knew we handled these safety items, or maybe you did not. But we would love to help you. If you need more ideas, please feel free to reach out to us or you can ship online! In the meantime, make sure you don’t miss an update by signing up for our VIP newsletter. We want to provide you Marketing Joy each week! Sign up here.